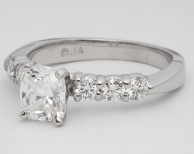 Three center diamonds, plus 8 pave diamonds makes for a stunning ring! Sure to shine at all angles, you might need sunglasses to look at it! 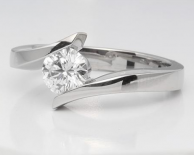 8 pave diamonds totaling 1/4 carats and 3 center round or princess cut diamonds will make for a spectacular ring that will blow your "target" away. 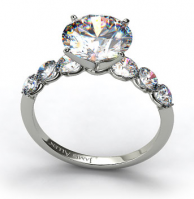 Everything about this ring is geared for maximum sparkleability (yes, I made that word up). 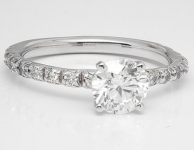 Prepare for the inevitable gasp when you reveal this engagement ring! 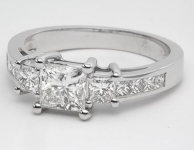 Elegant ring with two beautiful baguette diamonds on hand to support the center diamond of your choice. 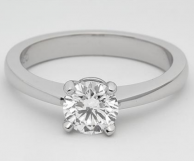 Set this one with any shape center diamond that you want, and create the ring of your dreams!